Looking for a break from the snow and freezing temperatures? The Royal Gorge Region is just one hour from Colorado Springs and two hours from Denver, but feels a world away. Tucked in between the eastern plains and the Sangre de Cristo Mountains, Cañon City is close enough to the mountains to feature scenic vistas and offer easy access to recreational trails, but low enough in elevation to stay clear of being buried in snow. For those training for summer sports, looking for a break from the powder or would just like a winter getaway to hike, bike, run or relax, the Royal Gorge Region is just the place. Trails in the Royal Gorge Region are available year-round, with the exception of a few days after some snow or rain. Incredible views await those who are willing to venture short or long distances. 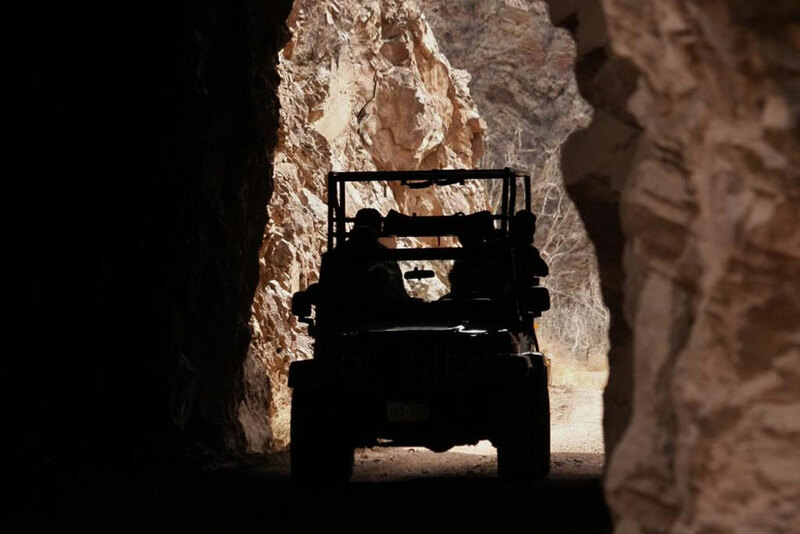 For a quick hike, visit Tunnel Drive and walk through historic tunnels. For a longer, visually satisfying trek, check out Oil Well Flats’ Island in the Sky, where you’ll stand on the edge of incredible granite outcroppings. 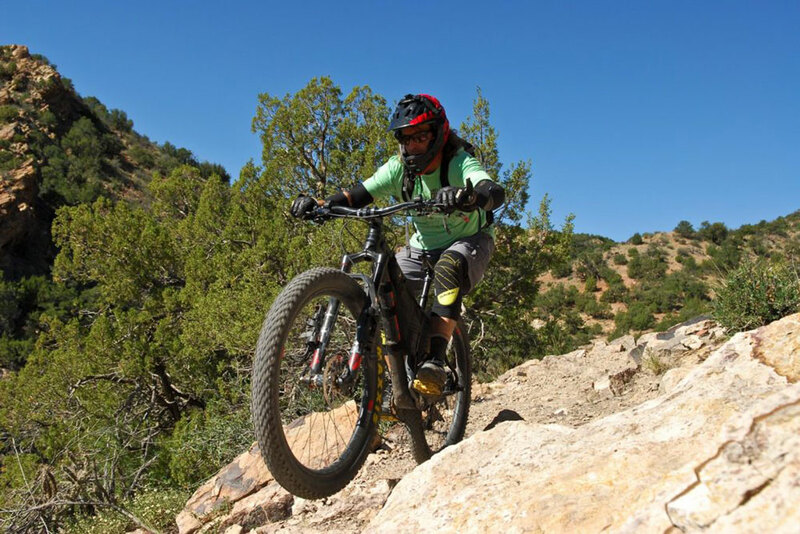 Beginner mountain bikers will find lower South Canyon Trails or the Arkansas Riverwalk to their liking, and advanced mountain bikers or hikers will revel in the stunning views of the Royal Gorge Park’s Canyon Rim or Summit View trails. Rent a fat-tire mountain bike for use on singletrack trails in dry or snow conditions (but not when it’s muddy) at Cañon City Brews & Bikes. Enjoy a post-ride meal when you return your bike. Trail conditions are available from Fremont Adventure Recreation. The Royal Gorge Bridge & Park is open 365 days a year. Make some memories by visiting North America’s highest suspension bridge, venturing to some of the most scenic spots along the rim of the park and sailing over the Arkansas River on the state-of-the-art gondolas. If you’ve seen it from above, you have to see the Royal Gorge from below. Ride the Royal Gorge Route Railroad (and try the dinner train!) for a first-class trip through one of Colorado’s most incredible natural wonders. In the winter, the river is often covered in ice and snow, giving it an ethereal, Nordic feel. You can dream of summer rafting as you enjoy a hot beverage from the warmth of a plush train car. Kids will enjoy the seasonal Santa Express Train — a special holiday treat! Whether you’re planning a couple’s retreat, a girls’ weekend or a holiday family reunion, the Royal Gorge Region offers luxurious lodging options. The Royal Gorge Cabins and glamping tents are cozy and chic, and are located conveniently off of Highway 50 near the Royal Gorge. For larger groups, check out Royal Gorge Vacation Rentals for gorgeous views and room to spare.